Some of the top nursing career paths in Texas include registered nurse (RN), certified nursing assistant (CNA), and licensed vocational nurse (LVN). Registered nurses make up the nation’s largest healthcare occupation, with a growing population of more than 2.7 million nationwide and over 190,000 employed in the state of Texas alone. 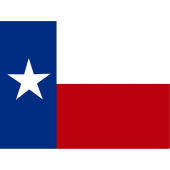 Texas-based RNs earn a median annual salary of $67,310. Expected employment growth for RNs is 19% for the 2012-2022 decade. Certified nursing assistants make up the second largest healthcare occupation, with more than 1.5 million nationwide and a population of over 86,000 in the state of Texas. The median annual salary for the state’s certified nursing assistants is $22,980 per year. Expected employment growth for CNAs is 21% for the 2012-2022 decade. Licensed vocational nurses belong to a group of more than 730,000 professionals nationwide. The state of Texas is home to 72,000 LVNs which typically earn about $43,000 per year. Expected employment growth for LVNs is 25% for the 2012-2022 decade. Below is a list of Texas schools that offer accredited nursing programs in one or more areas of this rewarding career path. For your convenience, we’ve organized them against the state’s major metropolitan areas.